After the map and compass use has been mastered the next step is coordinating this with a GPS unit. Once you have plotted your destination or way point, you simply enter those coordinates into your unit. Then select this as a way point and use the GOTO feature of your GPS unit. Both the bearing and the distance will be displayed. The unit points the route and computes the distance. Next pull out your compass, locate this route or bearing and start hiking towards that direction. There seems to always be obstructions such as wet areas or cliffs. Detour these areas and once around them re-check the GPS unit for a new bearing and distance. A plotter screen on the unit can show the path that you have traveled. Reverse this procedure as you hike back to your starting point. 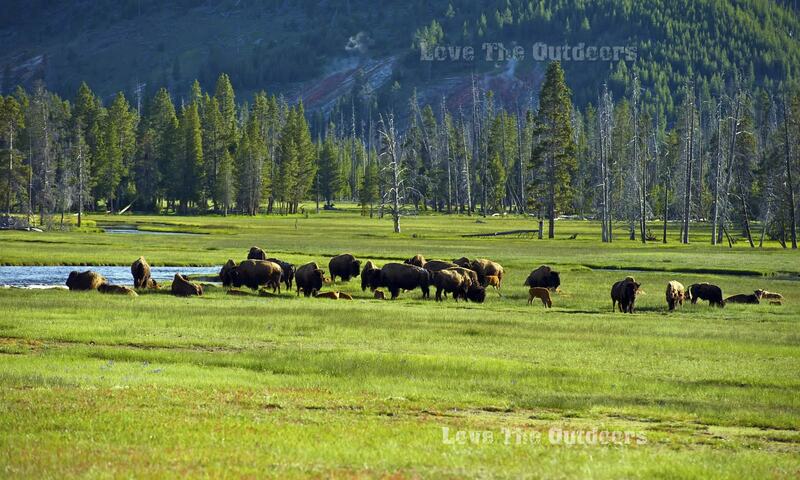 I recommend that you use both your compass and topo map with your GPS unit. This will assure that you will not lose your way. 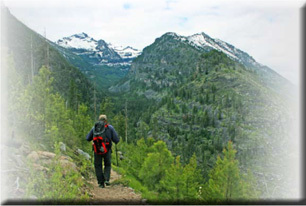 Also, with experience you will quickly become proficient at finding your way in difficult conditions and terrain. This will be a blessing in finding those hidden places that I love to explore. Before you get started you need to understand some background fundamentals. These are topo map datum and UTM coordinates. A fundamental rule is that you must match the same datum that your map is drawn to with your GPS unit. Otherwise your starting position may be 200 meters off. This can put you way off course in a hurry. You may entirely miss your way point. 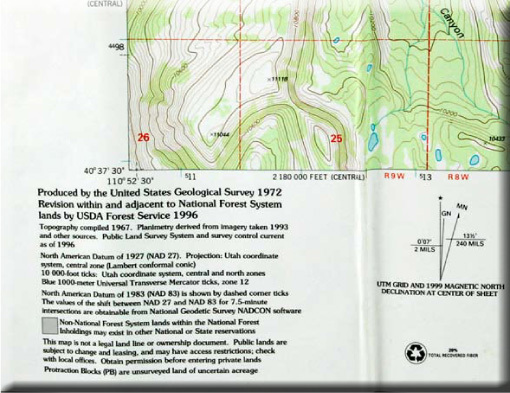 Most USGS topo maps display this datum in the lower left hand corner. It is marked either as NAD27 or as NAD83. This stands for North American Datum and the numbers reference the year that the map was drawn. Map datum is an attempt for the map makers to compensate for the fact that the earth is elliptical and not round in shape. If you fail to correct the datum you will have two coordinates for the same position. UTM grid system evenly divides the world into 60 equal zones from west to east. To find what zone you are in you can look it up at http://www.dmap.co.uk/utmworld.htm. In the US zone 10 is the west coast and zone 18 is the east coast. Grid lines are 1000 meters apart and marked on the map from the equator north or south and from west to east. The horizontal UTM lines represent the easting lines and their values in kilometers are drawn on the bottom and the top of the map. On the other hand the northing values appear on the far right and left hand sides of the map and are marked in kilometers. The easting values measure the distance east from the nearest zone marking. The northing values measure how far north you are from the equator [northern hemisphere]. Or if you are in the southern hemisphere the numbers start at 10,000 and count down from there. UTM stands for Universal Transverse Mercator. For example the map shows in the lower left corner both the datum as NAD27 and the zone as 12. As you look up the coordinates for Pine Island Lake the easting is 5 15 and the northing is 44 99. As you use the GPS unit you will notice three more numbers to the left of these coordinates. These further break down your location to the nearest meter. The GPS unit is a great tool in finding your way but do not rely upon it entirely. An accident may damage it or the batteries may fail. 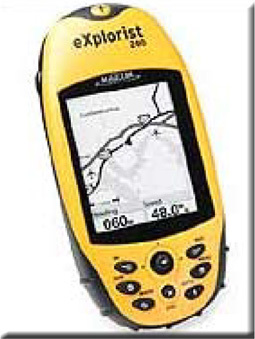 The map and compass is not only a back-up but enhances the effectiveness of the GPS unit.